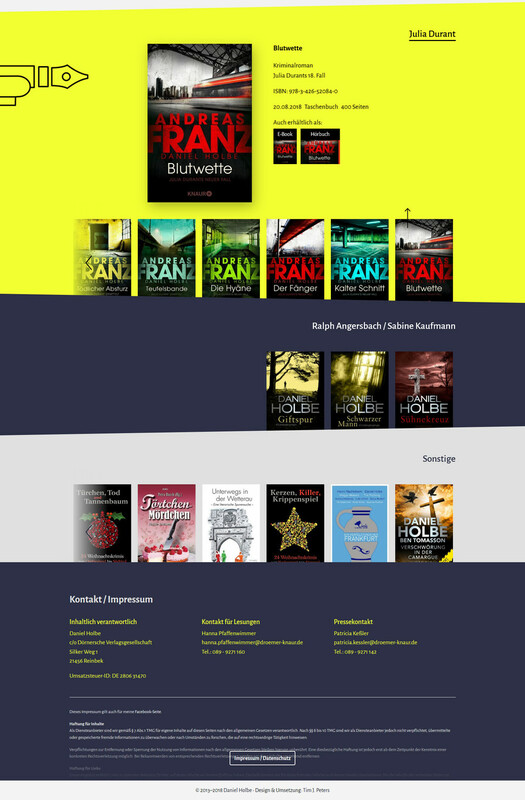 I developed, designed and implemented the website of the German best-seller author Daniel Holbe in 2013 and redesigned it in 2018. The goal was to create a website which reflects Daniel Holbe's profession as a writer of crime novels and thrillers without overloading the page with too much frills. The website should appear modern and rich in contrast while still referring to a darker theme of crime and excitement. This experience is completed by several specials which were placed viral before the launches to promote single books and get discovered by attentive readers. In the background the website runs on a custom content management system which enables Mr. Holbe to add new released books or update texts. This was a solo project. 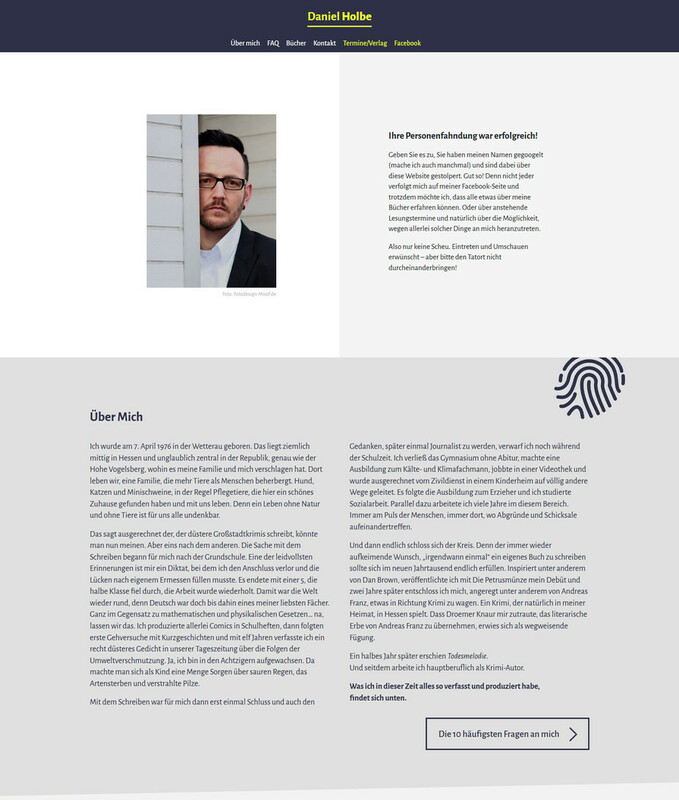 More web projects are available in my former professional portfolio (German).